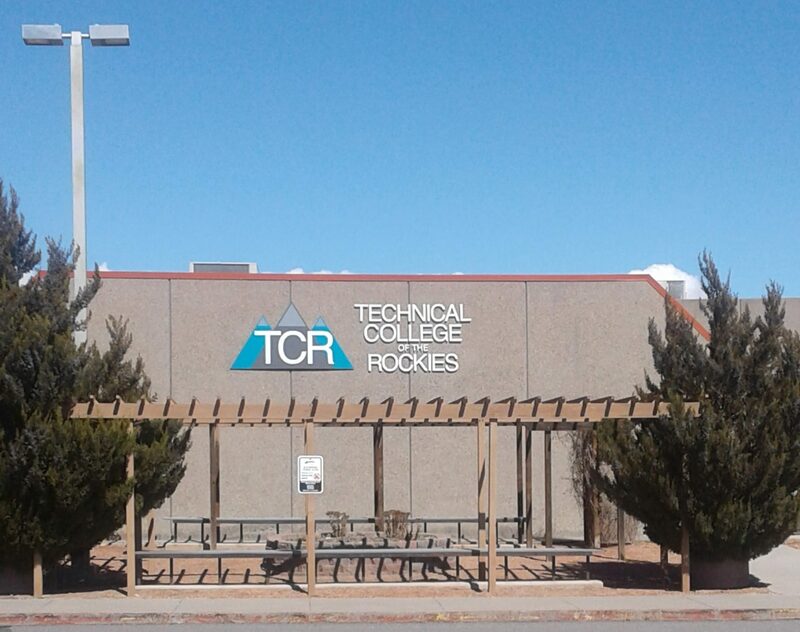 The afternoon of March 19, 2019 I visited the Director of the Technical College of the Rockies (TCR), Mr. Michael Klauser, presenting him with a complimentary copy of the 2018 IRC. Our Building Futures Committee agreed to a budget-expenditure allowing our members to present a copy of the 2018 IRC to administrators in an effort to help open the doors of communication. It worked quite well. Mr. Klauser took time out of his schedule allowing me to highlight the involvement our Committee has had with Westminster H.S. and Centennial H.S., and to point out the opportunities being offered by ICC not only for High School students, but for College students and returning Veterans as well. I handed him hard-copies of the ICC HSTTP brochure, the ICC introductory letter and our own Building Futures introductory letter all of which he skimmed through during our visit. The timing of the visit, and his willingness to meet (after his secretary informed him we were gifting him a $104.00 Code Book) resulted in an unbelievable opportunity for our Committee and for the mission of CCICC and ICC. 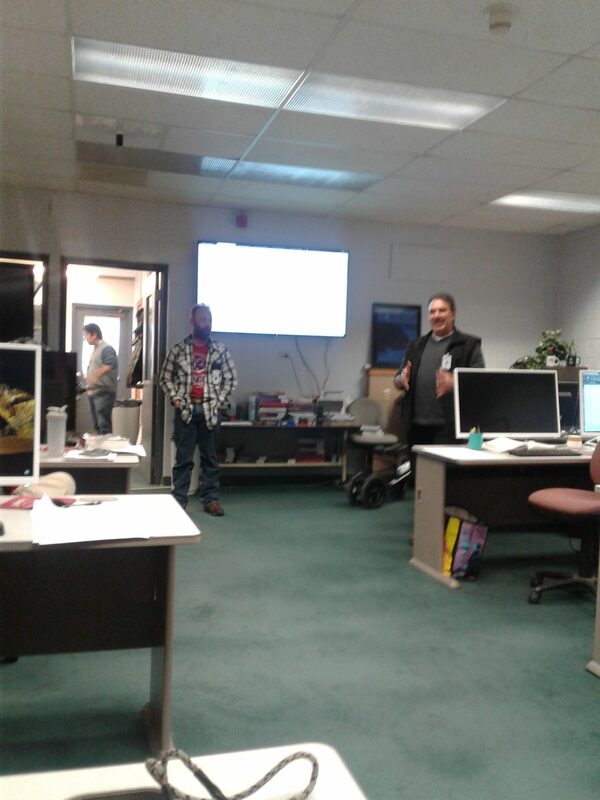 I was invited to attend the semi-annual Advisory Board meeting the evening of March 20, 2019 – yes, the very next day after our initial meeting. I am writing this on my return from a meeting that demonstrated mutual objectives and great enthusiasm for what each and every participant had to offer. 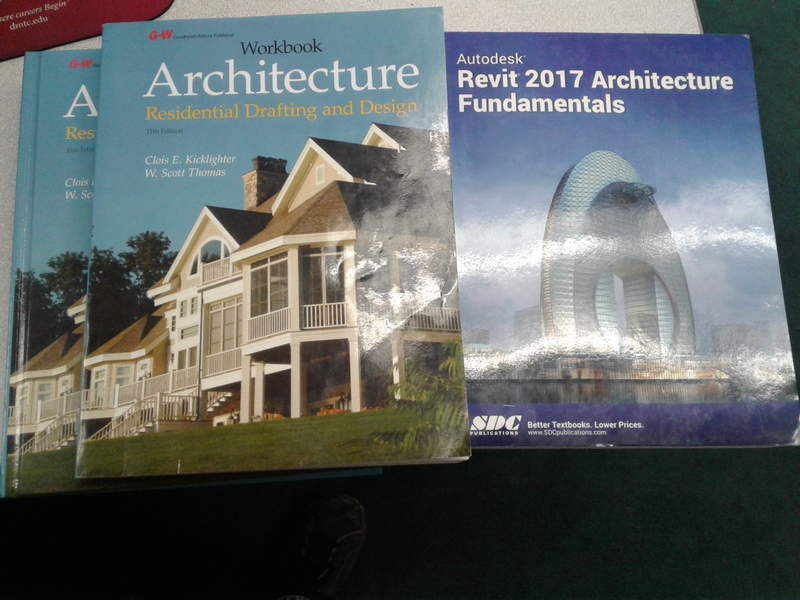 Three of the Advisory Board members (of which I am now a member) are recent graduates of the TCR program that teaches basic Computer Aided Drafting, Architectural Design, Advanced Mechanical Design, Civil Design and GIS. Each of the three young men have jobs in their field of study and have valuable insight into what hardware and what software is needed for the college to stay current with our quickly changing industry. Others included an Architect, and inventor (who had recently sold his internet provider company), a Disabled Veteran who is completing his own studies at the school and a few others. 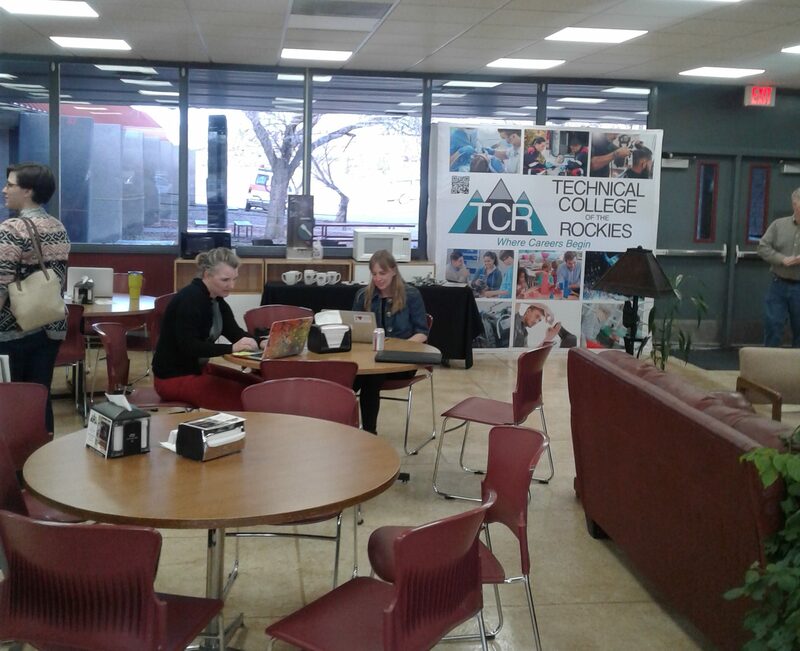 Prior to getting down to the business of the Advisory Board, I met with six High School STEM program teachers who were included in the initial discussion relating to them, their students and the college’s direct involvement in providing instruction to their students both on the H.S., campuses and at the TCR lab. These teachers were quite impressed with what ICC and our State Chapter had to offer for their programs. I am confident I will be receiving e-mails asking for additional information that will be added to their instruction-options in the near future. People of all ages are egger to learn, to share their knowledge and experiences and to grow together. I am proud to be a part the excitement, and I’ll tell you that sitting with recent graduates of these cutting-edge programs and having common goals of excellence in the industry IS EXCITING !! SOME CENTENNIAL High School students have been learning some valuable lessons, and not in a classroom. 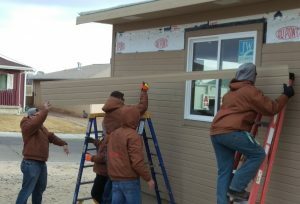 Over the past nine years, under the guidance of Centennial construction teacher Mike Palumbo, students have built six homes on the West Side through a partnership with Habitat for Humanity. As featured in The Chieftain this past weekend, Palumbo — who also is a construction supervisor for Habitat for Humanity — and his students have been working this spring on a 1,300-squarefoot, three-bedroom house for the project. Some of the students have been in the program since they were freshmen. Wearing T-shirts saying, “We build with Class,” the students moved freely around the home, putting on some of the final touches. Pineda, a foreman for the project, said it gives him a sense of pride knowing that the house will be standing well into the future. “I can drive by this block and know that I helped build this house,” he said. As you might imagine, the students working to build houses enjoy this coursework as much as any other classes, and often it’s their favorite work while in high school. David Shipley, 17, has been in Palumbo’s Construction 1 class since last year. “It’s pretty great. We are helping the community; we are building up a house,” he said. “It’s going to be a good way to help. The work also has inspired the students. Shipley and Pineda said they both want to enter the construction industry in the future. “I am not sure what I want to do yet, but right now I just love being able to use my brain to make something physically that you can touch,” Shipley said. We think this approach to education — students using their hands and their brains — has real merit. We have encouraged both local school districts for years to install significant programming along these lines. Mechanics, heating and air-conditioning installers and technicians, plumbers, electricians, construction workers — they all make good money and they are honorable professions. College is not a good fit for everyone, and we believe the schools need to continue to look for opportunities such as partnering with Habitat for Humanity to give non-college bound students career options. The Science, Technology, Engineering and Mathematics programs that have been instituted at several local schools are promising; more such programs are needed. We encourage the district to give serious consideration to expanding offerings along the lines of the Centennial Construction 1 class. A drive through the West Side shows that the class has been a success. 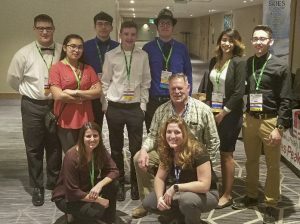 Westminster High School sent 3 teams to compete in the Architectural Design category for the 2018 Colorado Technology Student Association (COTSA). The teams had to build a "tiny House" using shipping containers for the structure. They had to be functional, code compliant, and meet LEED design and building standards. Out of the 37 teams who competed all 3 Westminster High School teams made it in the top 6. One of the teams won 2nd place, and will be competing in Atlanta, Georgia for the National competition. 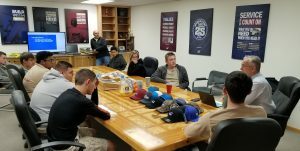 Jessie Sorensen, plans examiner from the City of Westminster, and Jim Beaver, building inspector from the City of Lone Tree and a member of the Building Futures Committee, assisted with this competition and the Westminster High School teams. The Building Futures committee congratulates these students, and wish them luck at the National competition. *** see the full article from the City of Westminster. The Building Futures committee is creating opportunities for those interest in the construction field by doing the following. We are looking for companies, jurisdictions, and individuals who would like to participate in the following programs. If you would like to participate please fill out the contact form below, and email to Jim Beaver.